Explore a Career in Insurance Studies. Explore a Career in Insurance Starting Today! 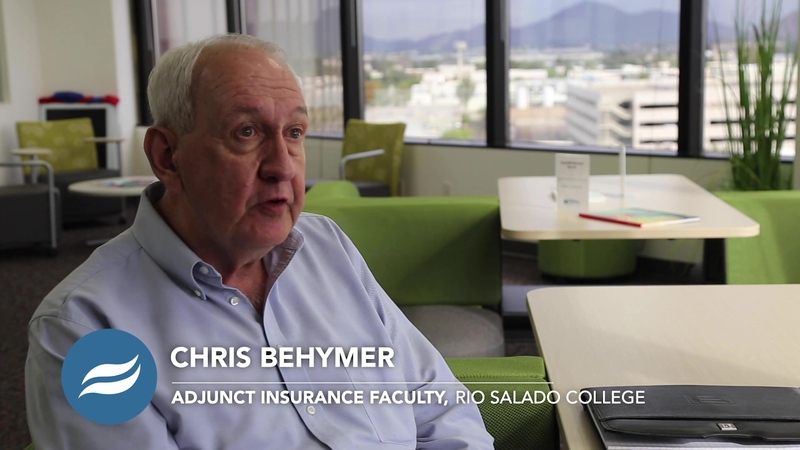 This online program is the first of its kind in Arizona, specifically designed to kickstart your career in the ever-growing insurance industry! With contributions from 35 insurance professionals and 20 different insurance companies, this program has everything you need to build your industry skill set and explore careers within property and liability, personal, or commercial insurance. As the economy evolves, insurance is evolving with it; let us help you join this growing industry! Here at Rio Salado, we pride ourselves on providing excellent care and support to students, and we will be with you every step of the way. You have the ability to choose between a Certificate of Completion or an Associate in Applied Science, giving you the control you deserve over your education. This is the perfect fit for your busy lifestyle, with its online delivery and the opportunity to learn from other professionals. The insurance industry is evolving, and big-name companies are looking for professionals like you to join their growing team! From enrollment to graduation, our goal is to ensure that you leave this program with a competitive edge in the job-seeking marketplace. There are many exciting career opportunities that employers are looking to fill right here in the Valley! Check out this list of popular roles to learn more about where your career could take you. Reach out to get started! We would love to hear from you and answer any questions you have! Please fill out the form below, and one of our student advisors will be in touch with you soon. Below are just some required and elective courses needed to receive your CCL to lead the way to your exciting career! *Ask your advisor which course(s) are recommended.